An Iowa native, Aaron earned his B.A. from Morningside College and Diploma of French Studies from the University of Caen in Normandy. After college, he served as a constituent advocate on U.S. Senator Tom Harkin’s staff. Eventually migrating to Kansas City, he spent a decade at Southwestern Bell Telephone Company (later SBC and AT&T), advising small businesses on a range of telecommunications technologies. International issues and politics continued to intrigue him, so he decided to attend the University of Missouri-Kansas City School of Law and focus his studies on international legal doctrine. Since his admission to the Missouri Bar, Aaron has built substantial expertise in the practical application of various Hague conventions and other transnational litigation procedures. 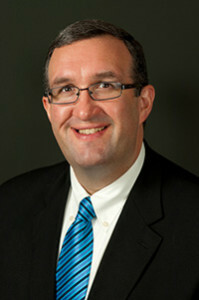 Aaron is a frequent CLE lecturer on transnational litigation topics, speaking to groups across the U.S. and in Europe. His availability for foreign contracting consulting was featured in the Kansas City Business Journal in October, 2016. For more on Aaron’s qualifications, interests, and publications, visit his LinkedIn profile here. Since November, 2016 he has been the publisher of The Hague Law Blog.